When Filigree made its debut last year, the market saw the entry of an exceptional portfolio of high-end residential properties. The likes of which have never been seen before—uncompromising, sumptuous, unparalleled—each finely crafted development bearing Filigree’s mark of excellence where an exacting approach to planning and design, masterful construction standards, attention to detail, and only the most prime locations are the standard. Not only have the most affluent and discriminating buyers taken notice, so too has the global property space, as two of Filigree’s incomparable projects were bestowed with coveted industry awards: The Best Residential Development of the Philippines Award for The Enclave Alabang and a five-star rating for Botanika Nature Residences as Best Apartment Philippines, both from the prestigious Asia Pacific Property Awards 2018. Beyond doubt, Filigree has made its mark. The Enclave Alabang, Filigree’s exclusive, masterplanned village in one of the most prime areas in the Metro South, is a masterpiece of a highly-talented development team: H1 Architecture as over-all architect and masterplanner, BUDJI+ROYAL Architecture+Design as interior designers, and AECOM as landscape architects—individually and collectively, a league of their own. In drawing up The Enclave Alabang’s masterplan, privacy, exclusivity, and the sense of a cozy, close-knit community served as H1 Architecture’s guiding principles, qualities that the well-heeled certainly seek. The result is that only a limited number of lots are available in the whole development, graciously cut in generous sizes that range from 300 to over 500 square meters. Residents can then select from the Main Avenue Through Lots, Parkview Lots, Corner Lots, Fortune Lots, and Premiere Lots—each properly proportioned to individual needs and located at select phases of the development. For The Enclave Alabang’s striking 1,500-square meter resort-style clubhouse—with lap pools, function rooms, and fitness gym—no doubt the development’s centerpiece, BUDJI+ROYAL Architecture+Design adapted a naturalist and modernist approach to its interior design, where an overriding sense of stillness and tropicality can be felt upon entry. The Enclave Alabang’s iconic clubhouse. Lastly, tranquility by way of nature-inspired living was the impetus behind The Enclave Alabang’s lush and verdant landscape design by AECOM. Bringing this image to life, 40 percent of the total development is dedicated to expansive greeneries, with the Central Park standing as the development’s pride and joy—suffused with lush gardens, an impressive mini man-made lagoon, and a canopy of trees for a completely flourishing environment. Filigree, though, goes from gracious village living to well-appointed condominium living. This is exemplified by Botanika Nature Residences, which is nestled in the most exclusive area in Filinvest City, Alabang. An architectural gem that stands apart from the rest, Botanika Nature Residences is a result of the combined vision of no-less than Leandro V. Locsin Partners as Architects of Records, Architecture International as international architectural consultant, Miaja Design Group of Singapore as interior designer, and AECOM as landscape consultant. When these brilliant minds came together, the outcome was a luxuriant condominium complex, a decidedly low-density residential enclave that follows the principles of bioclimatic architecture. 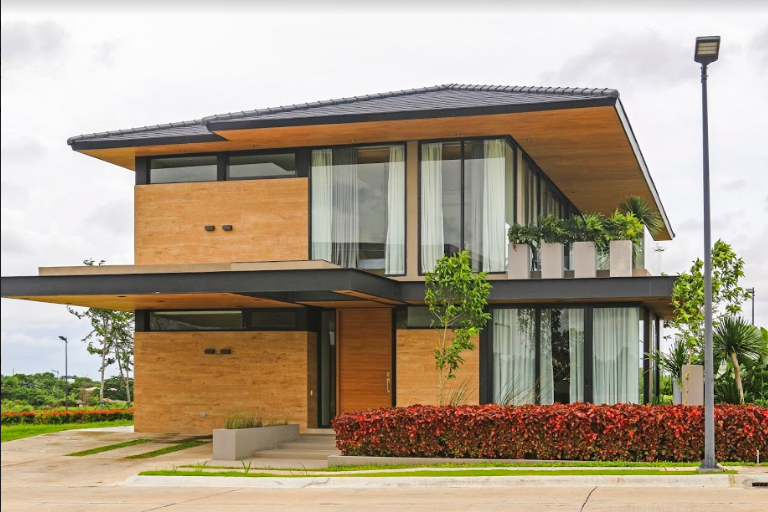 Thus, Botanika Nature Residences harmoniously co-exists with its environs, earning it a three-star rating for design from the BERDE (Building for Ecologically Responsive Design Excellence) certification system of the Philippine Green Building Council. 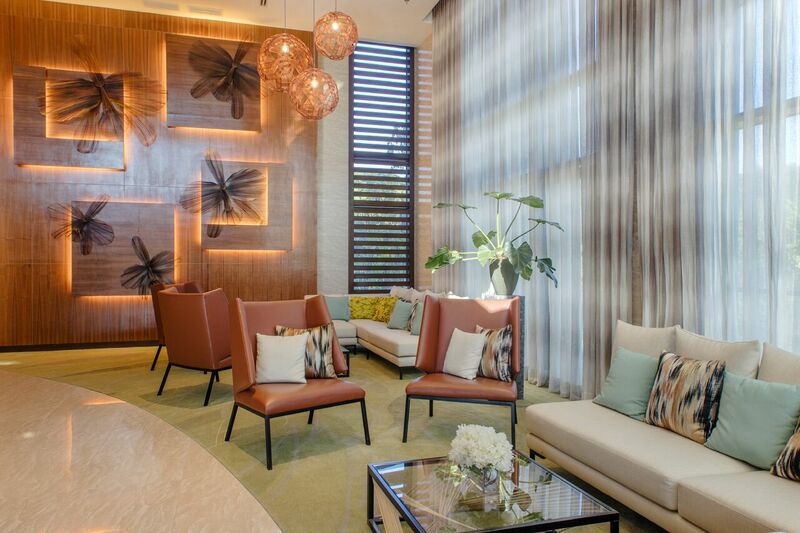 Botanika Nature Residences’ elegant main lobby. All these efforts on sustainability, while still clinging on the lavish features of a high-end condominium, is made real by its expansive units that range from two-bedroom suites, three-bedroom flats, all the way to five-bedroom garden bi-level units that are redolent of luxury at every turn. 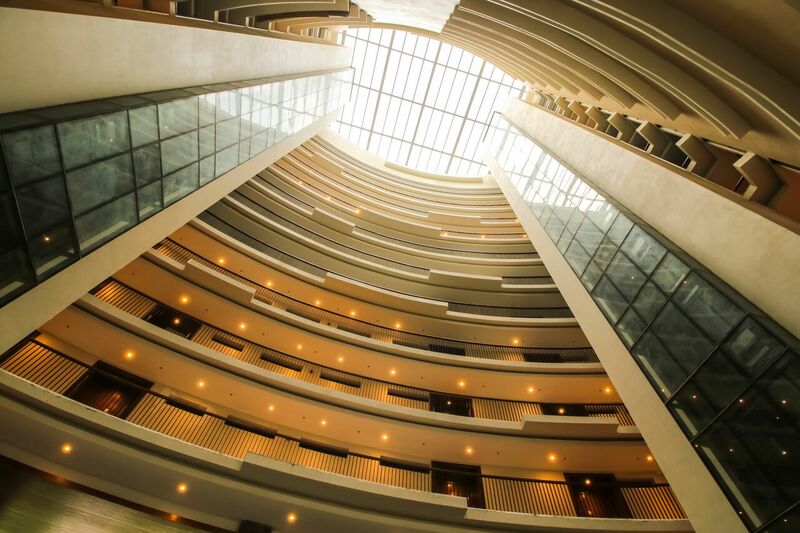 Not to be missed as well is its grand lobby leading to an awe-inspiring atrium, a scenic elevator, and a calming water feature that assures of a serene yet imposing welcome every time. In terms of amenities, the tiered kiddie and lap pools set amidst a verdant landscape, the indoor and outdoor play areas, plus the business center are ‘cherries on the top’ of this most impressive development. Botanika Nature Residences’ atrium has a sunroof allowing natural light and ventilation to come in. Also included in Filigree’s roster of top-rate properties is Bristol at Parkway Place. 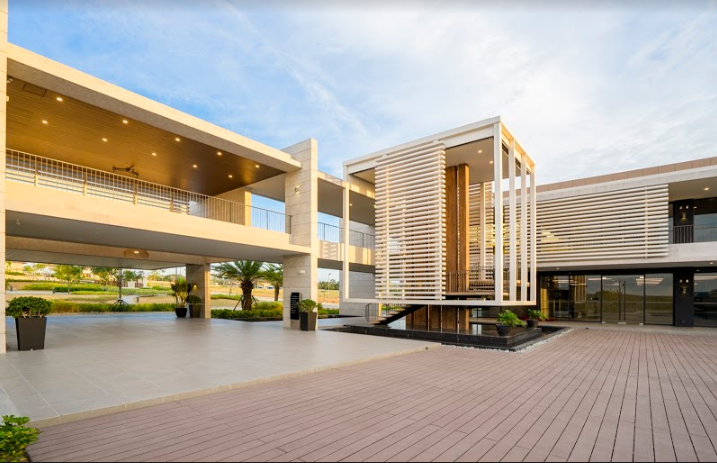 Standing in one of the most sought-after addresses in Filinvest City, Bristol is all about central living, where residents are in close proximity with lifestyle hubs like Festival Alabang and Westgate Center, health and wellness facilities like Asian Hospital, and educational institutions like FEU Alabang. To further suit its residents’ lifestyle, Bristol offers a plethora of Zen-inspired amenities—the yoga deck and the tree courtyard for rest and relaxation, entertainment and media center that serves as their own theater, the library where they can catch up on some reading, and function rooms where they can have business meetings or intimate gatherings. The exceptional standard of living continues into the private residences that come in one-, two-, and three-bedrooms—from 53 square meters to as large as 168 square meters—all rightly-sized and beautifully designed. Each unit utilizes top-of-the-line fixtures with superb craftsmanship and finishes that speak of distinction and attention to detail—hallmarks of every Filigree development. 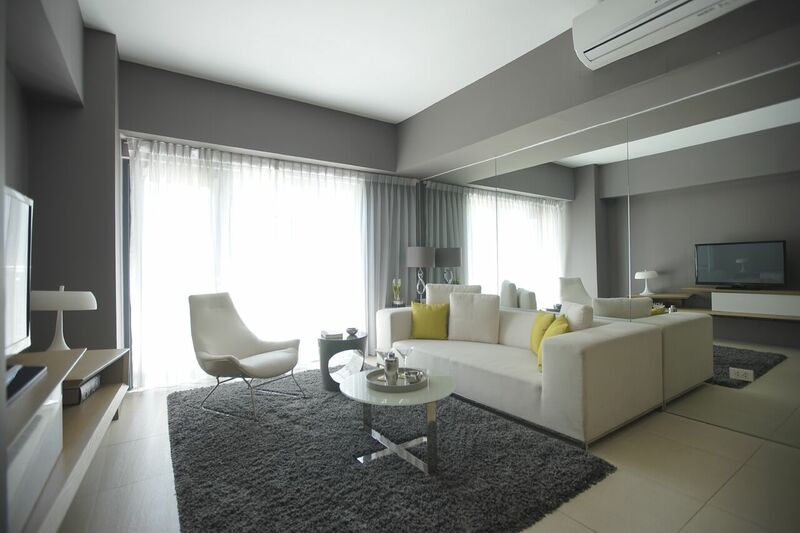 The Beaufort, meanwhile, takes shape as a symbol of home elegance at the dynamic Bonifacio Global City. It is the ultimate marque of luxury living embodied by a stunning two-tower, 43-storey, world-class condominium designed by Miami-based Arquitectonica. With its luxe, timeless design and well-designed facilities, living at The Beaufort is comparable to a staycation in a five-star hotel. Residents also enjoy generous living spaces and utmost privacy as it was built with only four units to a floor. The East Tower features a balanced mix of one- and three- bedrooms, while the West Tower features two- and three-bedroom units all with high-end finishes to suit the discriminating taste. With Filigree, the finest is never good enough. It constantly pushes the boundaries of luxury real estate to offer only the very best in its unyielding pursuit of excellence.